We are back with this week’s best of beacons post. In this feature, we cover some interesting news and updates from how Waze is leveraging beacons to assist in tunnel navigation to how the proximity marketing industry is expected to witness massive growth as we move forward. So, sit back and check out the latest stories about beacon-based proximity solutions. Waze, one of the world’s largest community based traffic and navigation apps recently broadened its community to include tunnel operators in order to fill in the gaps in wireless navigation technologies inside tunnels. As part of this initiative, Waze has installed Eddystone beacons inside tunnels and configured them to transmit signals to Bluetooth enabled smartphones carried by passengers inside tunnels. Thus, his nifty solution helps in taking over GPS for navigation support and location data inside tunnels. Waze hopes to partner with tunnel owners and city municipalities in order to reduce traffic and frustration on roads. This solution was built to ensure that people don’t miss their exits and easily navigate without any drop-outs. The company is not very guarded about the resulting data from its beacons and is ready to allow other navigation systems to leverage the beacons and provide enhanced navigation solutions to users. According to market research company, Research and Markets, the market for proximity marketing is expected to be valued at USD 52.46 billion by 2022 with a CAGR of 29.8% between 2016 and 2022. The proximity industry is largely driven by the growing demand for personalized, location-based services. In addition, access to spatial data and analytical tools further boosts the beacon market. The retail industry is a frontrunner in adopting Bluetooth solutions and applications in multi-channel marketing and product distribution has further led to the growth of the proximity industry. North America owned the largest market share of the proximity market in 2015 and this growth can be attributed to increasing smartphone penetration, access to mobile internet, growth of mobile applications and the launch of 4G network. It is also interesting to note that significant investments in proximity technologies are also being made by APAC countries such as China, India, and South Korea. All these trends along with the proliferation of smartphones ensure that the proximity market is all set to grow at an impressive pace, as we move forward. The Physical Web greatly simplifies proximity interactions by bringing the power of the web to objects in the physical world. One of the biggest advantages of the solution is its ability to deliver contextual, timely content to the target audience on their smartphones, without the need to build native apps. Given the ease and effectiveness of the solution, there are limitless possibilities of what a business can build using the Physical Web. From sending flight status notifications at airports, to delivering introductory discounts for new product launches at retail stores, to relaying live scores and player trivia at stadiums, the Physical Web has the power to transform customer interactions. Supported through Eddystone beacons, the Physical Web is not only a huge advantage to the proximity marketing industry, but many diverse industries and verticals, from airports to zoos as well. Read this post to find out how 10 diverse industries can leverage the Physical Web in interesting ways. The Carrickfergus Castle is one of the most iconic castles of Ireland and a new smartphone app called, Kids ‘n Castles aims to increase the number of visitors to this historical site. The app uses Bluetooth beacons to guide visitors through the Norman fortress and explains the history and significance of the fortress by means of both audio and video. 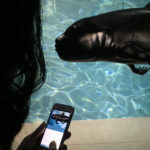 As part of this initiative, every time a visitor is near a beacon (placed close to an artefact/exhibit), his/her phone will display information about the specific artefact. In addition, the app can also trigger other actions like quiz or game prompts/clues. This app is an initiative of the Antrim and Newtownabbey Borough Council of Ireland and aims to bring an enhanced contextual digital experience to the visitors of the Carrickfergus Castle. Chicago Lighthouse, a social service organisation helping the visually challenged, has developed a new app called, ‘Aware’ that leverages iBeacon technology. With the Aware app, the visually challenged can not only locate a destination but also comfortably navigate it. In addition, it can also guide a user to a vending machine and read the contents of the vending machine. 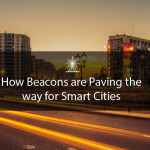 Places like offices and malls can also use the technology, but will have to map out where the beacons need to be placed in order to assist in navigation. Perksi, the vice-president of the Chicago Lighthouse, says, to those who are blind or visually impaired, beacons paired with the app are like the signs those with full vision read each and every day.